Welcome to Southwest Wisconsin’s Hidden Valleys Bed & Breakfasts and Inns! The Bed & Breakfasts and Inns of Southwest Wisconsin Hidden Valley's welcomes you to discover the unique treasures this part of Wisconsin holds. The area’s rich culture and natural resources make it a perfect place to stay and experience the hospitality of Southwest Wisconsin. Our Wisconsin state licensed member inns offer comfortable and unique accommodations for your relaxation and rest as you explore this unglaciated area. If your trip is a quiet getaway to a quaint town or river town, for a celebration of heritage, a rural country getaway, or to explore the outdoors, be it for business or pleasure, the bed and breakfasts and inns of Southwest Wisconsin ’s Hidden Valleys await the opportunity to welcome you! While you're here, Southwest Wisconsin offers many opportunities for day trips. Come and explore the heritage and culture thriving in these winding roads offered in this driftless ice age area. 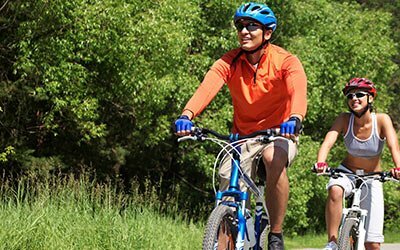 Visit the Amish communities and ethnic areas that are throughout Southwest Wisconsin, don’t miss biking the Wisconsin State Bike Trails, boating, hiking, state historical sites and museums, or the many festivals in the area. The rivers and streams are another "don’t miss" as they add to the rich natural resources that make this area a perfect place for outdoor recreation and sightseeing. Enjoy over 200 miles of trout streams, paddlewheel down the Mississippi River or canoe part or all of the 120 miles of the Kickapoo River. The refreshing landscape that changes with the seasons is worth the visit to Southwest Wisconsin. You are invited, so you too, can experience the natural beauty that surrounds us. Come and stay at any of our Wisconsin Bed and Breakfast Inns and you will truly enjoy yourself. Welcome to the Inns and Bed & Breakfasts of Southwest Wisconsin’s Driftless Area! The Inns and Bed & Breakfasts of Southwest Wisconsin's Driftless Area of Hidden Valley's welcomes you to discover the unique treasures this part of Wisconsin holds. The area’s rich culture and natural resources make it a perfect place to stay and experience the hospitality of Southwest Wisconsin. Our Wisconsin state licensed member inns offer comfortable and unique accommodations for your relaxation and rest as you explore this unglaciated area. If your trip is a quiet getaway to a quaint town or river town, for a celebration of heritage, a rural country getaway, or to explore the outdoors, be it for business or pleasure, the bed and breakfasts and inns of the Driftless area of Southwest Wisconsin Hidden Valley's await the opportunity to welcome you! While you're here, Southwest Wisconsin offers many opportunities for day trips. 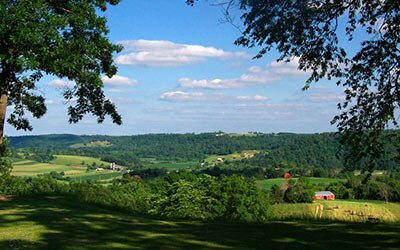 Come and explore the heritage and culture thriving in these winding roads offered in this driftless ice age area. Visit the Amish communities and ethnic areas that are throughout Southwest Wisconsin, don’t miss biking the Wisconsin State Bike Trails, canoeing, hiking, disc golf, horseback ride, winery and brewpubs, state historical sites and museums, or the many festivals in the area. Wisconsin is waiting for you to come and explore!